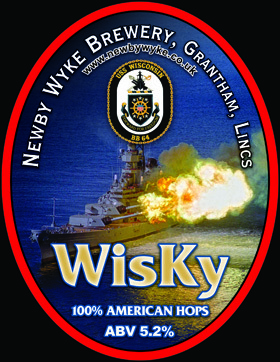 Welcome to the Newby Wyke Brewery website. Based in Grantham, South Lincolnshire we are brewers of award winning real ales, using only the finest Lincolnshire barley, and both American and English hops. This is our new look website, we hope it is easier to navigate and find out about the real ales we brew. 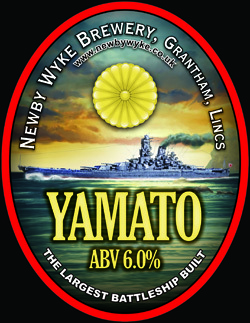 YAMATO 6.0% - This beer will now be a regular, alternating with HMS Queen Elizabeth. This strong blonde beer is full of hops & pineapple, with strong citrus aroma. 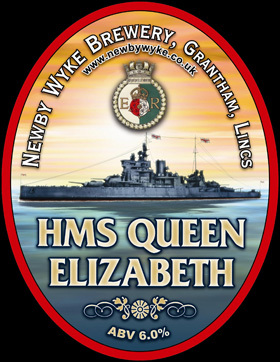 HMS Queen Elizabeth 6.0% - This golden ale is balanced with an infusion of fruit and hops. Dangerously drinkable! 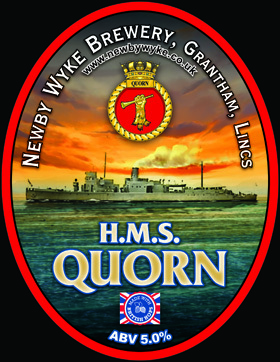 HMS Quorn 5.0% - A golden ale that has a grapefruit aroma with a fruity citrus, sharpe and dry finish. 100% British hops. 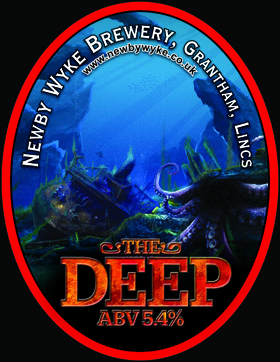 The Deep 5.4% - Darker than the famous stout, with masses of hops and a fruity aroma. Our new range of beers coming soon are listed below, with tasting notes to follow. Each beer will have 100% American variety of hops. 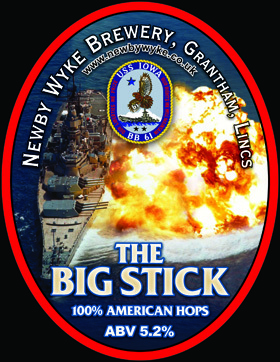 The Big Stick 5.2% - A golden beer. 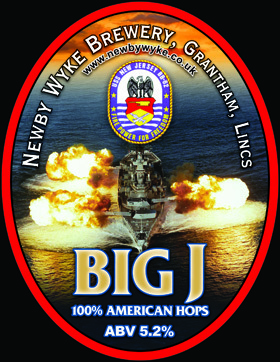 Big J 5.2% - Dark golden, verging on light amber. 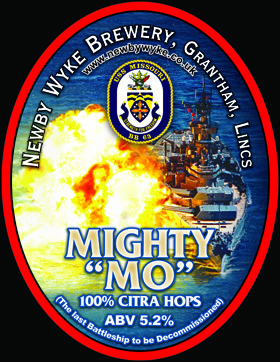 Mighty "Mo" 5.2% - A blonde beer. WisKy 5.2% - Will be a Rye beer. For a look at our full range of ales just click here. 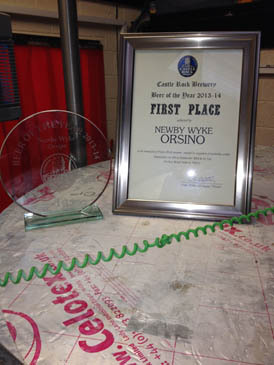 Castle Rock (Tynemill) have voted our beer "Orsino" 4.0%, "Beer Of The Year". Orsino was voted top beer by customers across their chain of pubs. 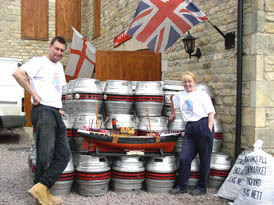 - Bardia served in the Malt Shovel, Ashby "Really enjoyed this ale, look forward to trying more beers from yourselves." - Kingston Topaz served at the Works, Sowerby Bridge "Pure Nectar." - White Squall served in the New Smithy, Wolstanton- "I have not tasted a beer with so many distinct flavours in a longtime. Thanks very much." For more news visit the news archive.